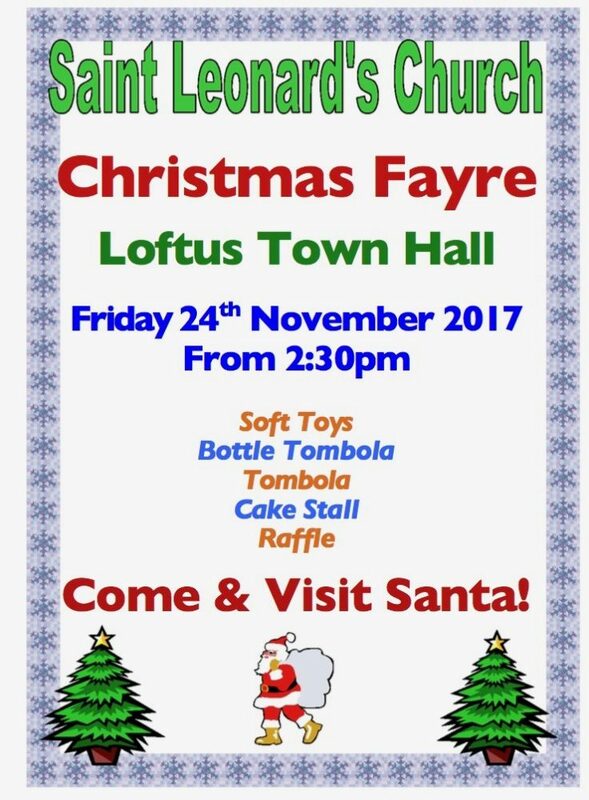 On Friday 24th November 2017 Loftus Town Centre will host a Number of Exciting Pre-Christmas Events! 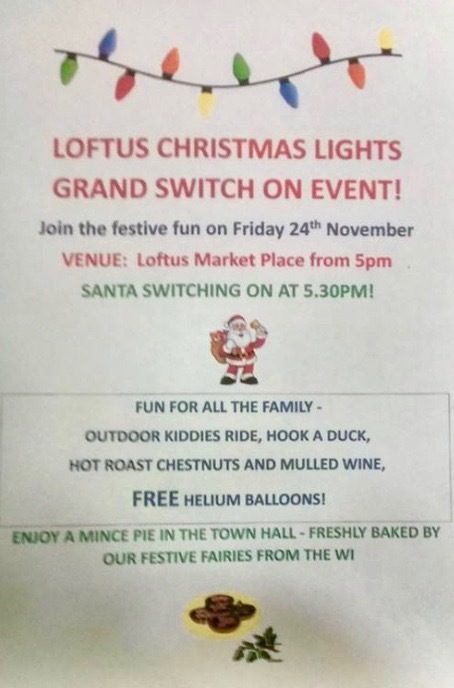 The Saint Leonard’s Parish Church Christmas Fayre will be held in Loftus Town Hall from 2:30pm, an event which shall merge seamlessly into events surrounding the switching on of the Loftus Town Centre Christmas Lights arranged by the excellent “Light Up Loftus” Community Group and Loftus Town Council. 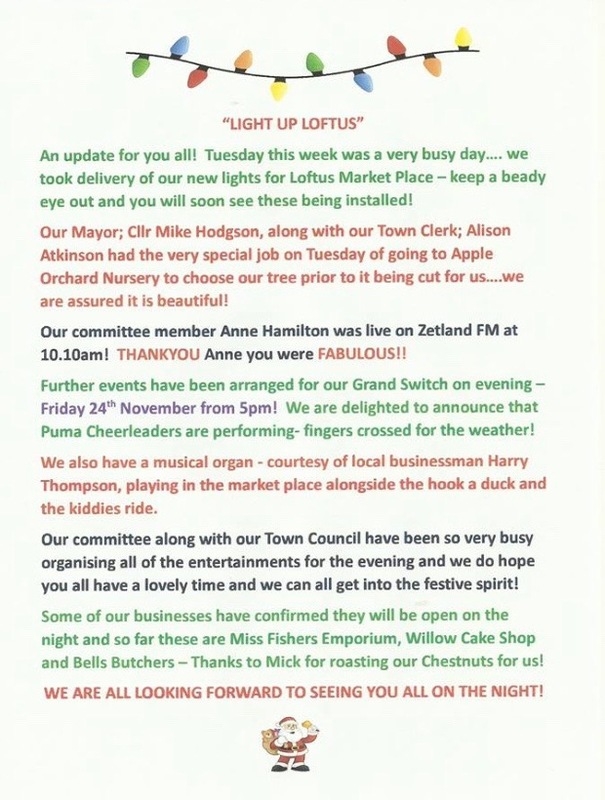 Save the date now as this will be an truly great afternoon and evening for Loftus Parish!